Conservation Metrics, a Microsoft AI for Earth grantee based in Santa Cruz, California, uses machine learning to monitor wildlife and evaluate conservation efforts. 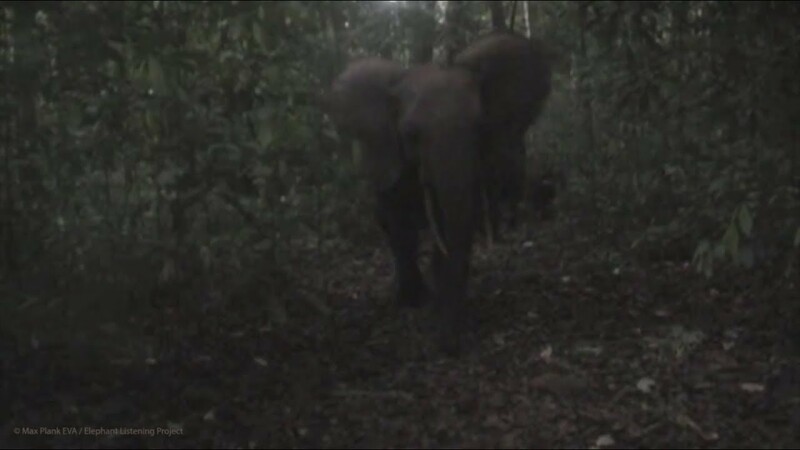 It is applying its sophisticated algorithms to help the Elephant Listening Project, based at Cornell University’s Lab of Ornithology, distinguish between forest elephant calls and all the other sounds in a noisy tropical rainforest. It’s a perfect job for AI — looking for these rare patterns in terabytes of data that would take humans years. The Elephant Listening Project has spent more than three decades researching how elephants use low-frequency rumbling sounds to communicate with one another. 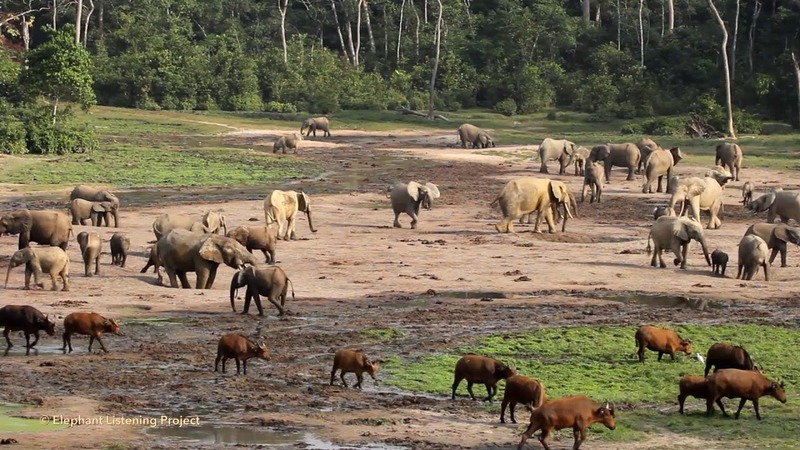 More recently, those scientists began to use acoustic sensors at research sites to inform population estimates and, ultimately, to track and protect forest elephants across their ranges in Central and West Africa. Conservation Metrics began collaborating with the Elephant Listening Project in 2017 to help boost that efficiency. Its machine learning algorithms have been able to identify elephant calls more accurately and will hopefully begin to shortcut the need for human review. 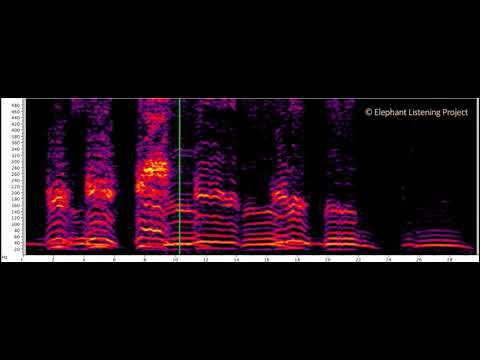 But the volume of data from the acoustic monitors, shown in the spectrogram below, is taxing the company’s local servers and computational capacity. Microsoft’s AI for Earth program has given a two-year grant to Conservation Metrics to build a cloud-based workflow in Microsoft Azure for analyzing and processing wildlife metrics. It has also donated Azure computing resources to the Elephant Listening Project to reduce its data-processing costs for the project. The computational power of Azure will speed processing time dramatically, says Matthew McKown, the CEO of Conservation Metrics. The platform also offers new opportunities for clients to upload and interact with their data directly. It currently takes about three weeks for computers to process a few months of sound data from this landscape-scale study, says McKown. Once the Azure migration is complete later this year, that same job may take a single day. In some areas, DAS also powers a Save the Elephants tracking app that can alert rangers via email or text message when an animal has slowed or stopped moving. The app can also warn when animals are heading toward human settlements where they might raid a farmer’s crops. Reserve managers or the farmer can then help herd the animals back to safety. From Gabon to Mozambique to the Congo, some 463 animal tracking devices are deployed, of which 358 are on elephants. Even with advances in collar technology, sensors and imagery collection, much additional work is needed to turn data into scientific insights or actionable intelligence, says Wall. Morris has also been working to apply machine learning algorithms to camera traps — remote field cameras that are triggered by motion to photograph anything that crosses their path. But as useful as these can be, finding an animal of interest can be like looking for a needle in a haystack. The coalition has since worked with search engines like Bing, e-commerce sites and social media companies to adopt strong and consistent policies about what products are prohibited on their platforms. WWF also provides training to help companies recognize and shut down advertisements and customer accounts that traffic in wildlife. “AI is really the key piece in combating wildlife trafficking online. While it’s not the only solution needed, automating the review of posts selling illegal wildlife and their products would drastically increase the barrier to entry for wildlife cybercriminals,” says Grein. This World Elephant Day, find out how you can get involved in conservation through our partners at WWF. Check back on the Bing homepage on Aug. 12 to learn more and test your knowledge, too. Follow @MSFTissues on Twitter.